Toronto, ON, October 15, 2018: The Sunburst Award Society is pleased to announce the winners of the seventh annual Copper Cylinder Award. The Copper Cylinder Award is an annual award for Canadian literature of the fantastic, selected by members of the Sunburst Award Society for books published during the previous year. It derives its name from what is considered the first Canadian scientific romance, A Strange Manuscript Found in a Copper Cylinder, by James De Mille (1833-1880). All winners of the Copper Cylinder receive a unique, handcrafted copper cylinder trophy. The winner of the 2018 Copper Cylinder Adult Award is Son of a Trickster by Eden Robinson [Penguin Random House Canada]. EDEN ROBINSON is the author of Traplines, a collection of short stories, which won the Winifred Holtby Prize in the UK. Her two previous novels, Monkey Beach and Blood Sports, were written before she discovered she was gluten-intolerant and tend to be quite grim, the latter being especially gruesome because half-way through writing the manuscript, Robinson gave up a two-pack-a-day cigarette habit and the more she suffered, the more her characters suffered. Monkey Beach won the Ethel Wilson Fiction Prize and was a finalist for the Giller Prize and the Governor General's Award for Fiction. 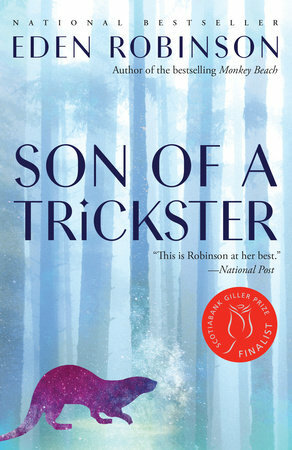 Son of a Trickster, the first instalment of her Trickster trilogy, was a finalist for the Scotiabank Giller Prize. In 2017, she won the Writers' Trust of Canada Fellowship. Eden Robinson lives in Kitimat, BC. The 2018 Copper Cylinder Young Adult Award is shared by two works, Scion of the Fox by S.M. Beiko [ECW Press], and Weave A Circle Round by Kari Maaren [Tor Books]. S.M. BEIKO currently works in the Canadian publishing industry as a freelance editor, graphic designer, and consultant. Her first novel, The Lake and the Library, was nominated for the Manitoba Book Award for Best First Book, as well as the 2014 Aurora Award. Scion of the Fox is the first book in her Realms of the Ancient series. Freddy doesn’t want people to think she’s weird. Her family makes that difficult though: her deaf stepbrother Roland’s a major geek, and her genius little sister Mel’s training to be the next Sherlock Holmes. All Freddy wants is to survive high school. Then two extremely odd neighbours move in next door. Cuerva Lachance and Josiah definitely aren’t normal. Neither is their house, which defies the laws of Physics. Neither is Freddy’s situation, when she suddenly finds herself stuck thousands of years in the past with her very, very weird neighbours. And that’s only the beginning. KARI MAAREN is a Toronto-based writer, cartoonist, musician and university instructor who likes writing stuff about monsters, and who gets unreasonably upset when her students abuse the common apostrophe. 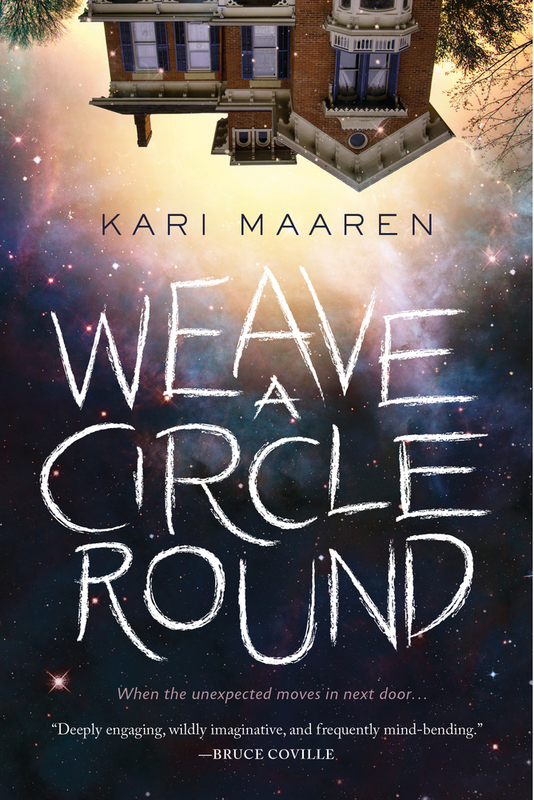 Weave a Circle Round is her first book. The Sunburst Award Society also confers the annual juried Sunburst Awards for Excellence in Canadian Literature of the Fantastic. Both awards celebrate the best in Canadian fantastic literature published during the previous calendar year. For additional information about the Copper Cylinder Awards, Sunburst Award Society membership, and the voting process, please visit the website at http://coppercylinderaward.ca. For additional information about the Sunburst Awards, the nominees and jurors, eligibility, and the selection process, please visit the website at http://sunburstaward.org.